He had no experience in the restaurant business, so he sent out a call for Italian housewives to help him set the recipes. What he found was a gaggle of grandmas: nonnas in Italian. 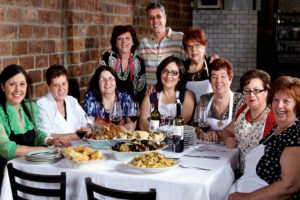 With a core group of 10, from different regions in Italy, he opened Enoteca Maria, a restaurant named after his own mother. The nonnas each hold forth one night a week. They re-create the dishes they learned to cook from their own families. It’s an enterprise that is as much about tradition and family as it is about cooking. The nonnas link the past to the future. Scaravella’s lead-from-the-heart enterprise was an immediate success. And why not: “If I had a choice between going to a five-star restaurant and going to Grandma’s house, I’m going to Grandma’s house,” he says. This is America, baby! We have parties. We give gifts. 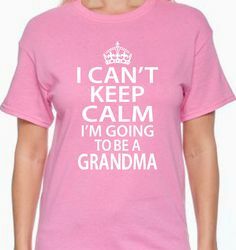 We may worry about who is giving what, and who might be offended (diverting attention from the mother-to-be is the most-often heard complaint) but we press on, giving gag presents, outfitting baby’s home-away-from-home, kidding the soon-to-be-grandma about her abilities and her recall. One prize that I liked was a basket of spa items. Because someone is going to need it, baby!